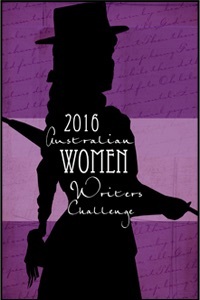 Really happy to complete the first of my three reading challenges this year, the 2016 Australian Women Writers Challenge. I signed up for the Franklin level (highest level) at the beginning of the year and had to read 10 books by Australian women and review at least 6 of them to be successful. I might be able to squeeze one more in before the year is over, but my favourite book for the challenge - strangely enough - was the first one I read, Missing by Melanie Casey. I'll be signing up again soon to participate in 2017, so have a think about whether you want to join me or not. It's lots of fun and there's so many great Australian books written by female authors out there to discover. I wonder what will be next year's favourite. Congratulations, Tracey. Thanks for being such an enthusiastic supporter of the AWW challenge. I've only read a couple of the books on your challenge list, All These Perfect Strangers and Out of the Ice, but The Good Son is on my TBR pile. Looking forward to hearing about your selections for 2017. Ooh...lots of new to me books. Thanks! Great to hear Alex, I hope you can enjoy some of them next year.